My clarity comes in the form of writing. When all else fails, when I don’t know which step to take next, or how to hold myself up any longer, all that I do know, is that i need to write. Writing is the work I need to do. She wrote that she bought this accordion fold book in Shanghai, China in 2002 when she lived there for work for four and a half months. 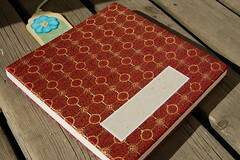 It?s covered with red silk brocade and has paper inside which is meant to be used for Chinese calligraphy and watercolor. It should be good for regular watercolor and for drawing. It?s 8 1/2″ x 8 1/2″. Isn’t it beautiful?! 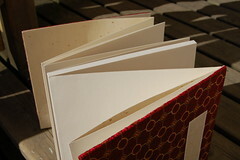 Katie has made many pretty mini books, she has an assembly line going with little books filled with recycled papers. 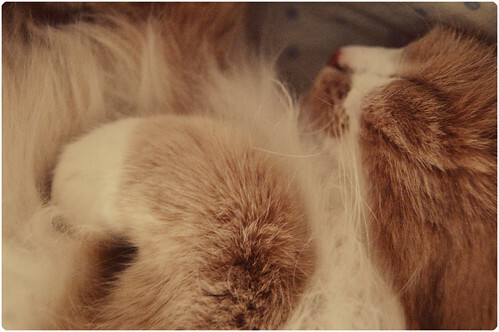 I adore mine and will dedicate it somehow to the cutest cat ever; miss Smilla. See, she is already in it. 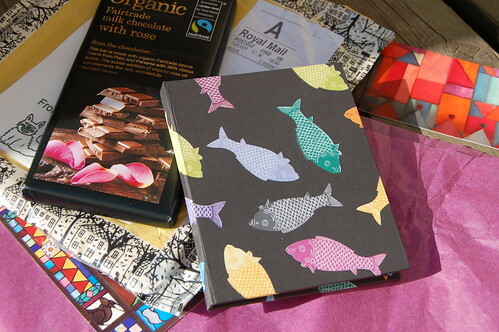 Just seeing the images of handmade books made me start on a journal myself, cutting pages and punching holes. It’s not finished yet though. But it’s sooo cute! 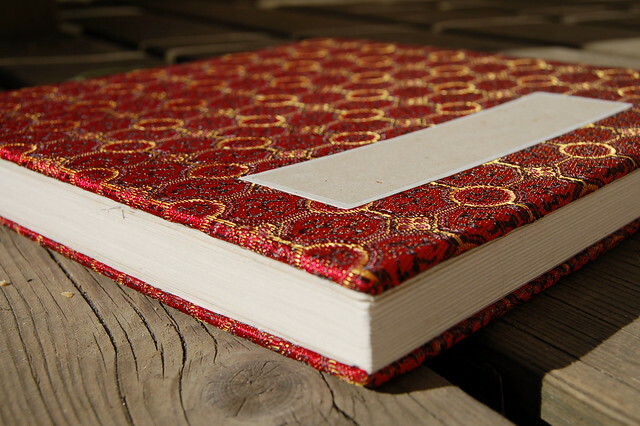 Superstition #1 is You must finish the journal you?re working in before starting a new one. Haha, what a silly myth that is, right? Don’t iron your four leaf clover, you don’t want to press your luck! So lucky – Michelle Ward got a Finnish hymnal from me. She is making a tribute to her favorite band and she is using a hymnal as her altered book. Can’t wait to see what she makes! Commenting on Taj’s blog the art journal and got a very nice respond where she links to my self-published book in her post iHanna! Thanks! Got a very nice email from a girl called Ali that said she found me though Dawn’s book ! It’s a first, and a very nice one as she like my art, bought my book and asked for my 2009 calendar which reminded me that I actually did post it for sale online, but forgot about it. It’s at Lulu just as my book A Creative Year. You can still get both! TJ in Germany posted about the heArt Quilt she bought from me see her fun post Ugly phone cover up! I’ve added some more books that I really love to my book page – check them out! Thanks for everything! You are the best. 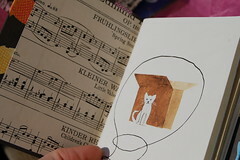 This entry was posted in Mail bliss, Notebooks and tagged Cat Love, gifts recieved, mini book, new notebook, smilla. Bookmark the permalink. 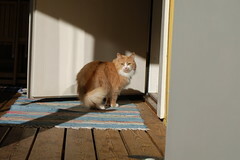 Hanna, you always make me smile. 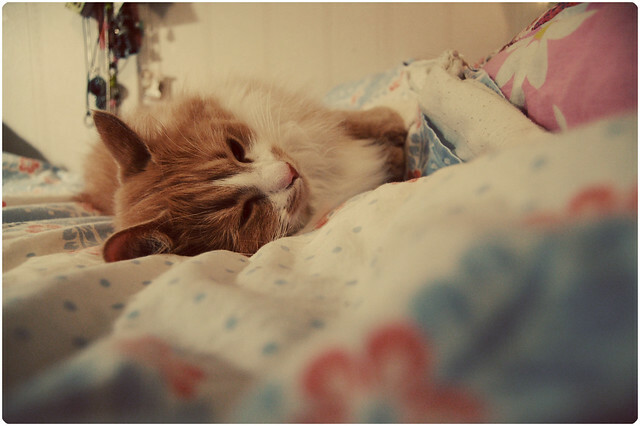 I love those photos of Smilla. Aren’t journals so great, friends, comfort, challenge. As unique as the person working them. That quote underneath Sweet Smilla is so funny!